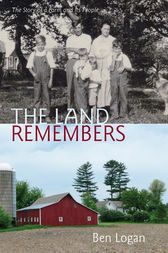 This beloved American memoir is about a farm and its people, recollections of a boyhood in Wisconsin's Driftless region. Ben Logan grew up on Seldom Seen Farm with his three brothers, father, mother, and hired hand Lyle. The boys discussed and argued and joked over the events around their farm, marked the seasons by the demands of the land, and tested each other and themselves. Ben Logan (1920–2014) traveled as a merchant seaman and worked many years in New York as a novelist, lecturer, and writer/producer of films and television. He returned in the 1980s to Seldom Seen Farm in Wisconsin. The farm is now privately owned but has been preserved through a land trust with the Mississippi Valley Conservancy.